This year’s update offers little in terms of new features for the visual effects app, you’ll feel the changes every time you use it. 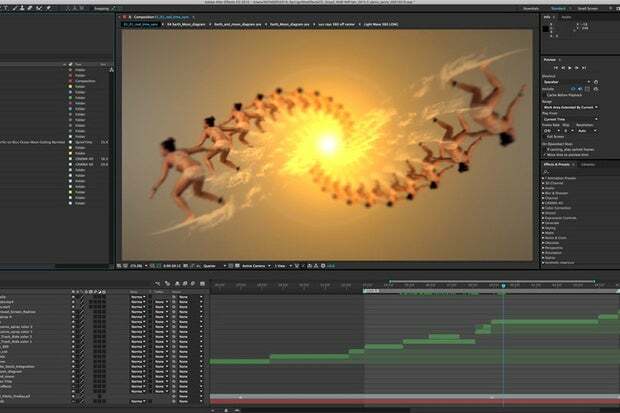 It’s fair to classify Adobe After Effects CC as that rare breed of software coveted by artists who depend upon it for a living, but largely overlooked by the majority of average users. And you’ve no doubt seen what After Effects is capable of; turn on the television or go to a movie theater, and chances are the software was used to create or enhance the visuals, even if those illusions are too subtle to notice. 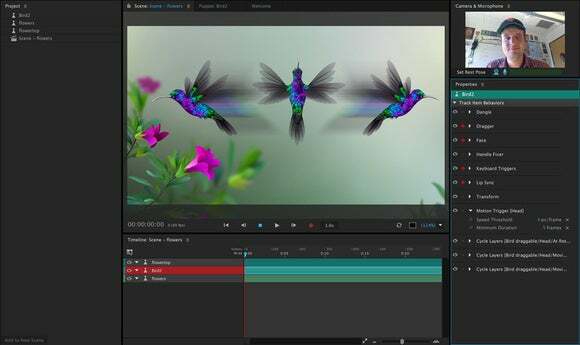 To its credit, Adobe listens to the small but vocal base of motion graphic artists, compositors, and animators who use After Effects, working hard to keep them happy. While this year’s update offers little in terms of new features, you’ll feel the changes every time you use it. 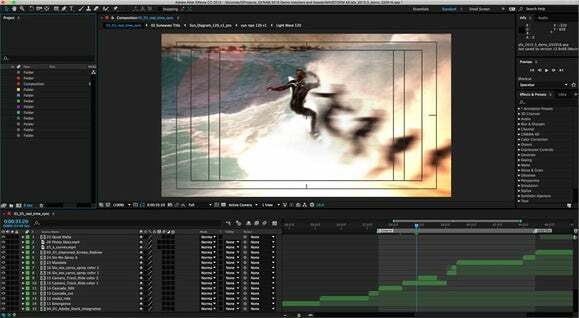 There aren’t many new features, but After Effects CC 2015.3 makes up for it with improved performance across the board. 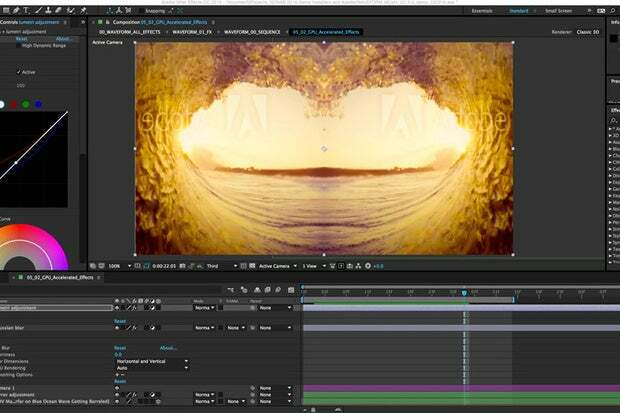 After first entering the Creative Cloud fold three years ago, After Effects CC quickly added a host of new features, including a bundled version of the 3D modeling software Maxon Cinema 4D Lite, the ability to render projects in the background using Adobe Media Encoder, and awesome new tools like Refine Edge, Warp Stabilizer, and Pixel Motion Blur. 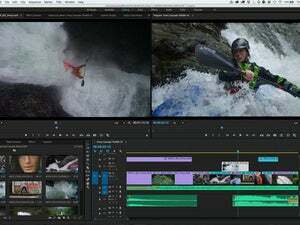 Adobe After Effects CC 2015.3 offers a new preview engine for smoother playback of cached frames and synced audio. Normally the lack of new whiz-bang features would be disappointing, but for longtime AE users it’s cause for celebration. Nearly every aspect of AE is faster, from importing image sequences on a local network (which now happens up to ten times quicker!) to scrubbing through the timeline; the result is a more responsive user interface. This is most apparent in the new playback engine, which allows cached frames to be synced and played back in real time, even while scrubbing. It’s seriously so fluid and smooth, you’ll want to pinch yourself to make sure you’re not dreaming. Another area Adobe has devoted significant energy to is tuning up GPU-accelerated effects like Gaussian Blur. After Effects CC 2015.3 now renders faster than before, and the results are immediately apparent with each and every tweak you make. CPU-intensive effects like Gaussian Blur now render faster thanks to GPU acceleration. Lumetri Color has been similarly supercharged along with one-click white balance selection and HSL Secondary color correction, a feature also part of this year’s Premiere Pro CC update. There’s also a new Queue in AME option, which resolves issues with the Add to Adobe Media Encoder Queue option where project settings frequently weren’t retained during exports. Animators who rely on Cinema 4D also have something to love, courtesy of the new roundtrip workflow. This works by first exporting 3D text or extruded shapes in Cinema 4D format, then importing that file back into After Effects. 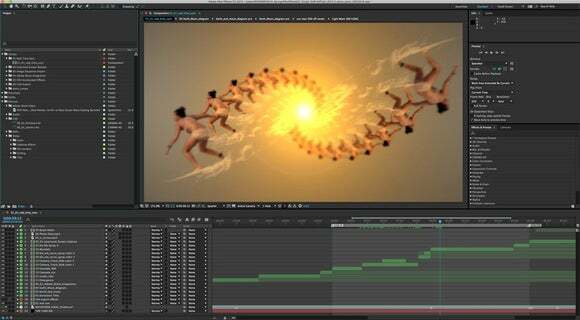 This creates a Cineware link between the AE composition and Cinema 4D, so edits made in one application are automatically reflected in the other. There’s still room for improvement. Having to first spit out a Cinema 4D file then place it back into After Effects isn’t as streamlined as it could be, but that minor inconvenience is largely negated by the ability to see live updates in the first place. Although technically a standalone application, After Effects CC 2015.3 also includes a fourth preview of Character Animator. 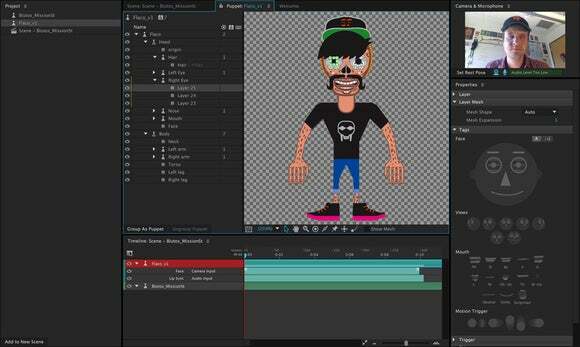 This software brings to life layered 2D character artwork created in Photoshop or Illustrator as a virtual puppet, which users control in real time by acting out movements in front of a webcam. It’s easier to tag puppets in Character Animator, thanks to a new panel for applying alternative facial, mouth, or trigger behaviors in a few clicks. Like many others, I was blown away at how fun and easy to use Character Animator was after playing with the initial release last summer. The ability to track facial movements, capture a performance, and synchronize mouth movements was the kind of innovation we all hope for but rarely receive. However, that release was fairly rudimentary, and more proof of concept than a full-featured animation package. That’s still the case today, but Adobe inches closer to something useful with an easier way to visually tag layer and handle names, record multiple takes of a character’s movement, and directly export to Adobe Media Encoder. The biggest limitation with Character Animator is that it currently only works with your head and face. 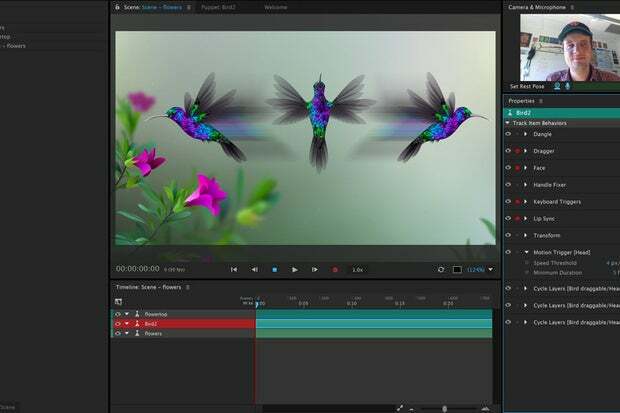 Adobe attempts to rectify this situation by allowing puppets to respond to specific types of motion entered via keyboard or mouse, which trigger corresponding animations on-screen. Such improvements were first used earlier this year on a live episode of the long-running sitcom The Simpsons, in which veteran voice talent Dan Castellaneta brought Homer to life in a whole new way. 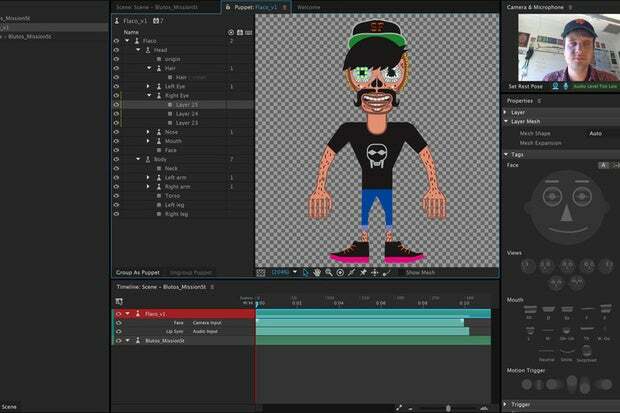 Adobe Character Animator Preview 4 is no longer just about head and face movements. Animators can now trigger a variety of puppet behaviors with the help of the keyboard and mouse. 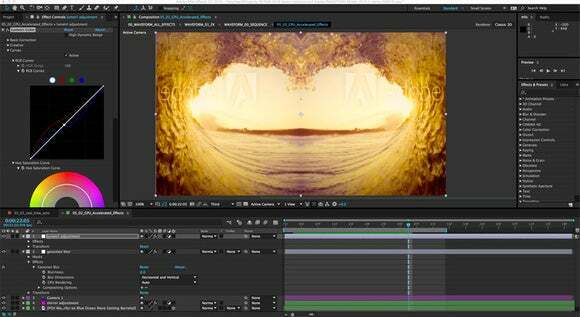 You won’t find much in the way of new features with Adobe After Effects CC 2015.3, but the performance enhancements make it a joy to keep using. 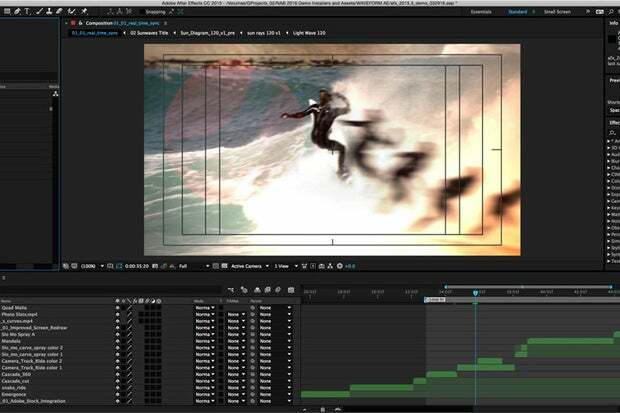 Adobe After Effects (2015.3) is the leader in visual effects, motion graphics, animation, and compositing shots for film and television post-production.